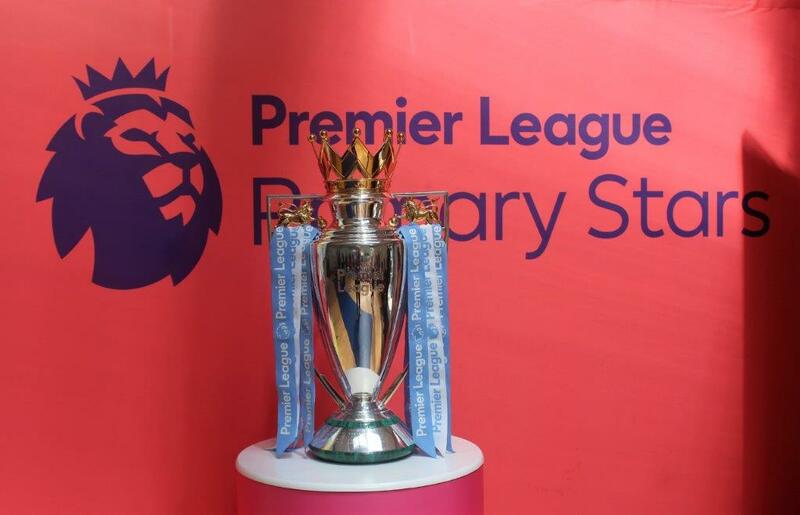 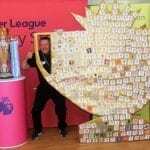 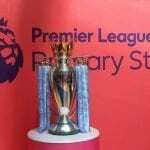 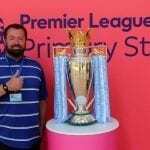 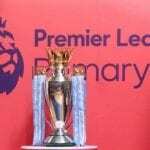 Youngsters from Garlinge Primary School, Margate, had a very special visitor on Monday Morning, when the Premier League Trophy was brought into the school. 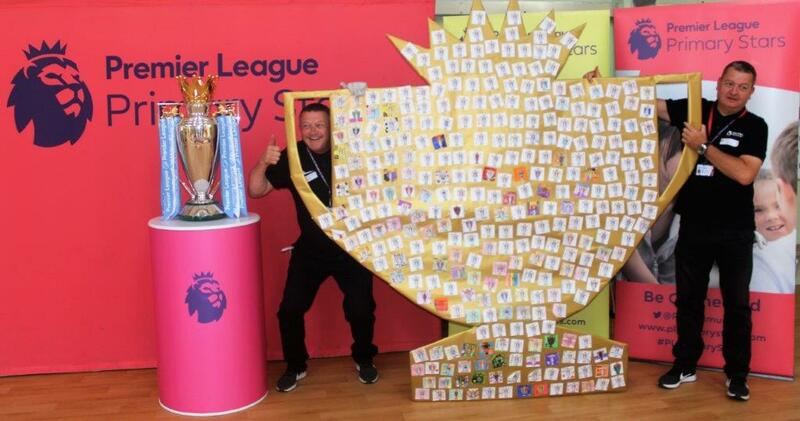 I’m not sure who was more excited about the presence of this iconic sporting trophy… the staff or the children. 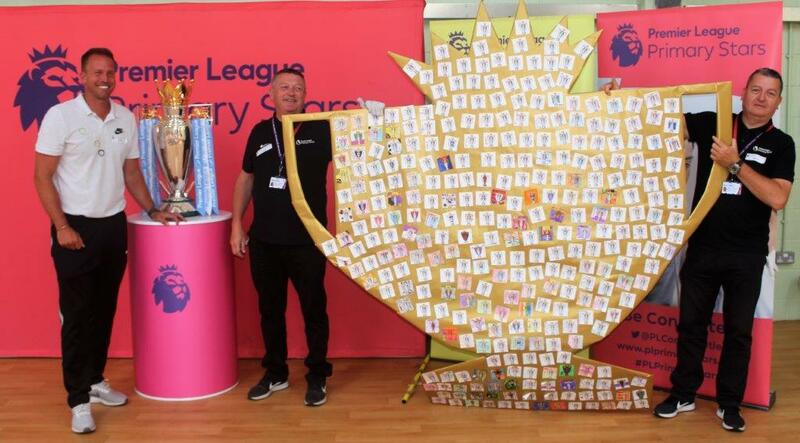 As I arrived, several teachers could be seen taking selfies with the cup whilst pupils from throughout the school filtered into this very special assembly. 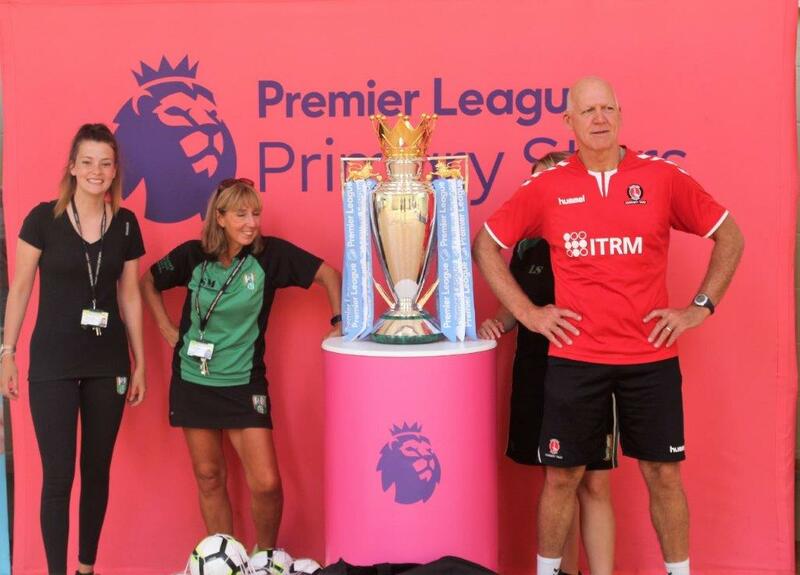 I have to admit, I was more than a little bit excited to have been invited along, too. 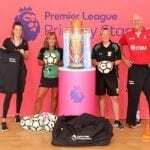 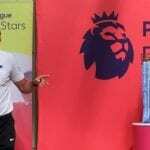 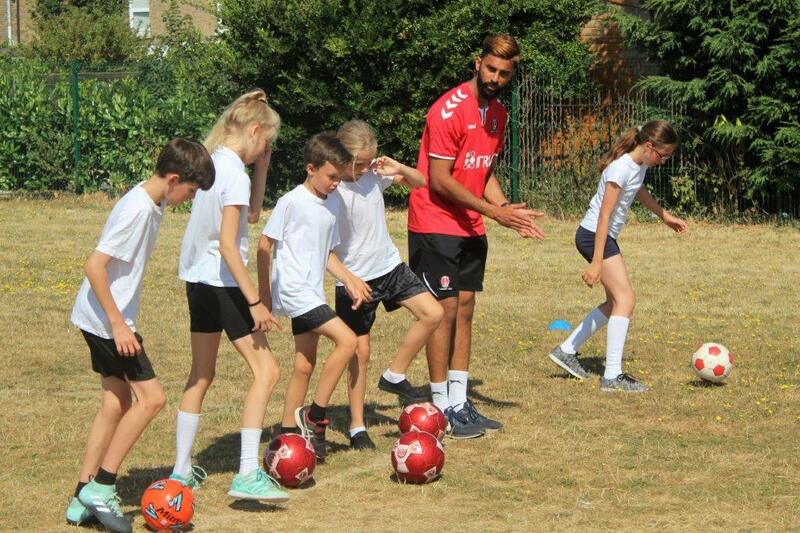 The visit, also involving representatives from the Premier League as well as coaches and community representatives from Charlton Athletic FC, was arranged by the school’s PE Department through the ‘Premier League Primary Stars’ program. 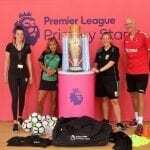 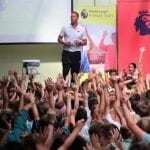 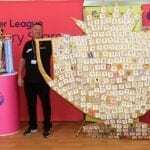 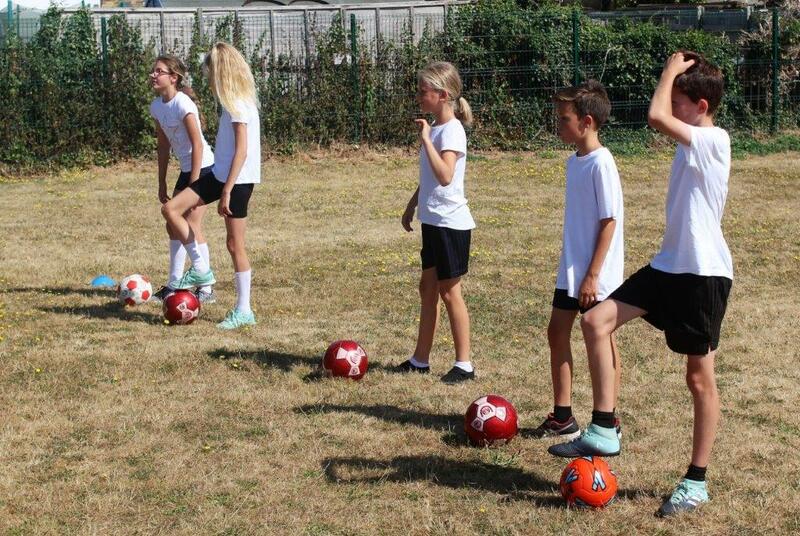 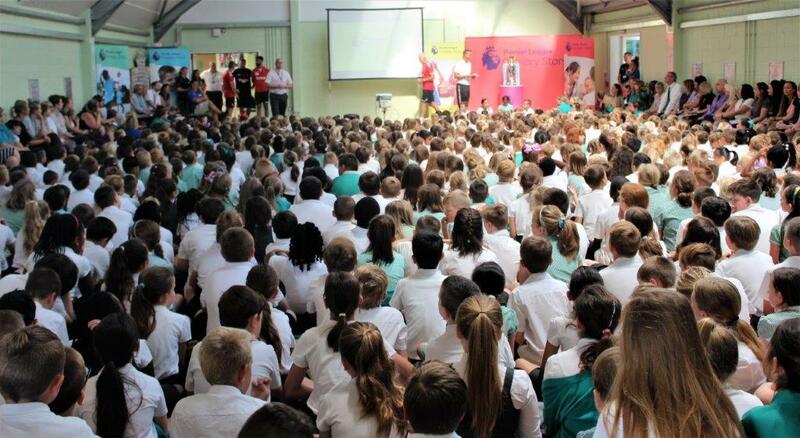 ‘Primary Stars’ is a football and education engagement program, inspiring children to learn in 15,000 primary schools across England and Wales. 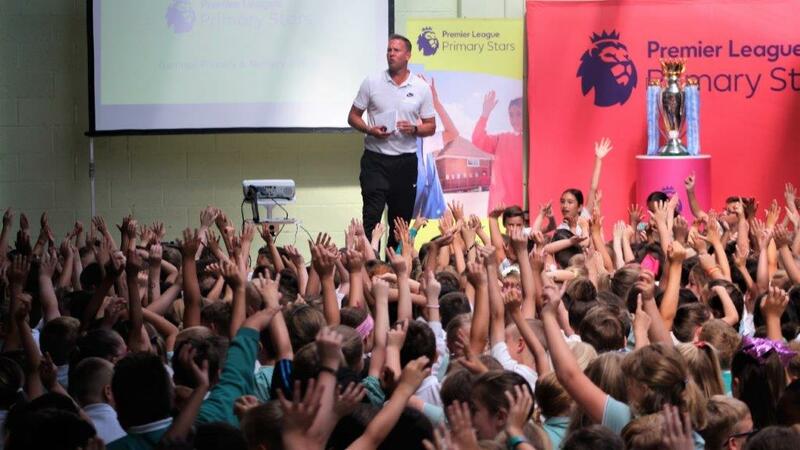 Once all of the children and staff had settled into the assembly hall, they were treated to an interactive assembly that featured lots of cheering and clapping as compilation videos from last season were played on the big screen. 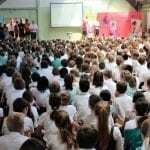 The children were great and really got involved with the assembly, creating a fantastic atmosphere throughout the hall. 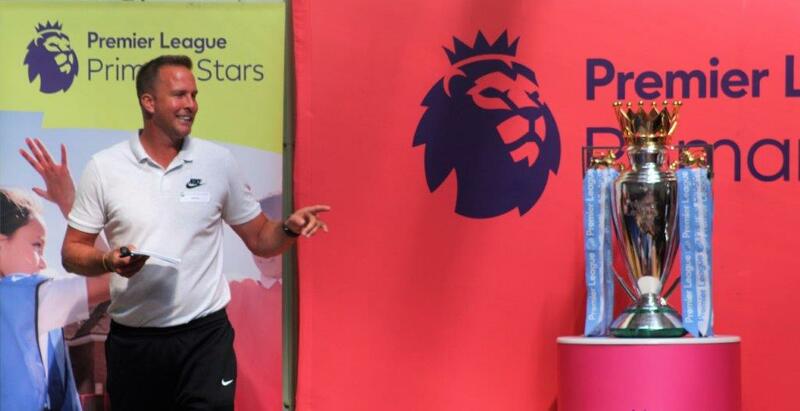 They even had the opportunity to stand up together to perform a ‘Thunderclap’ – the crowd celebration made famous by Iceland’s fans. 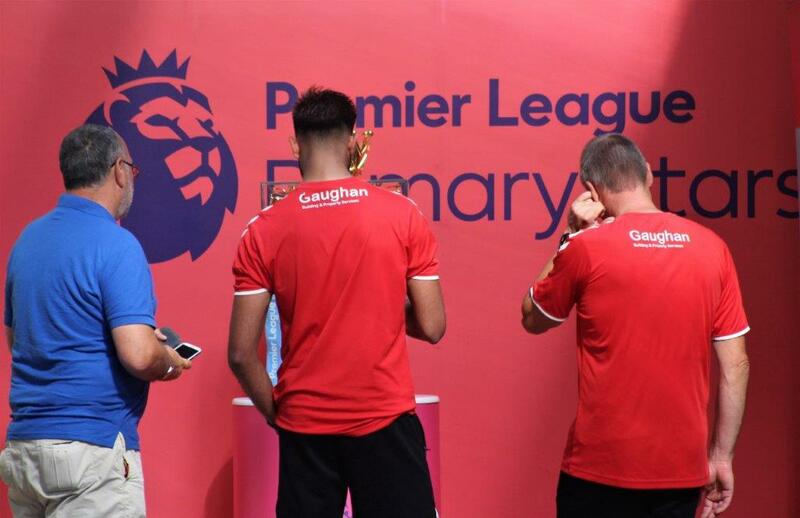 It was truly a sight to behold. 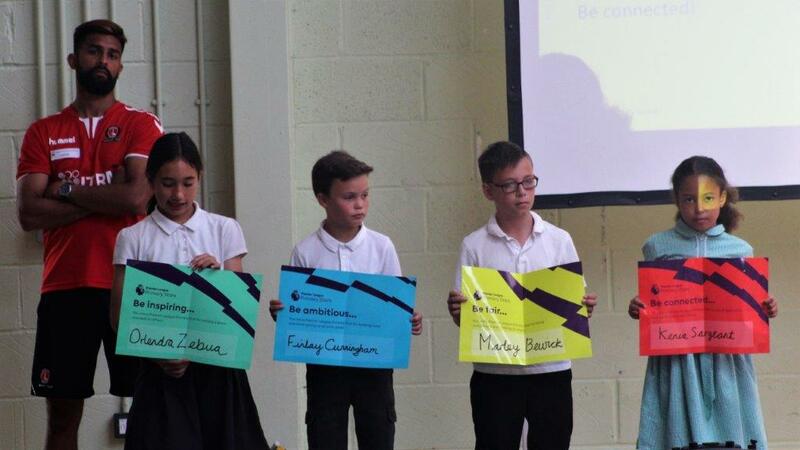 Four of Garlinge’s Young Ambassadors demonstrating the school’s values as part of the special whole-school assembly. 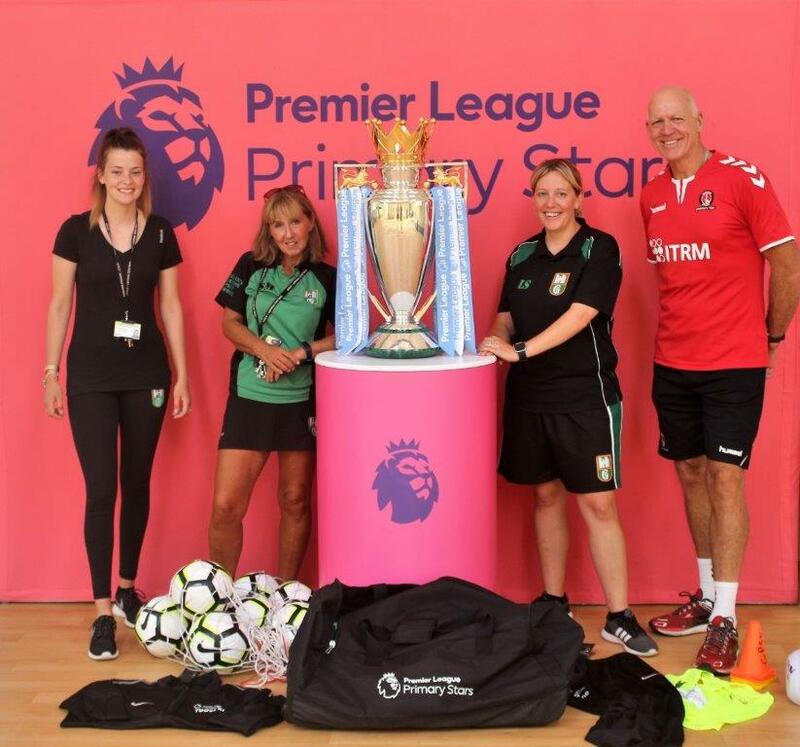 After the assembly, each class group had the opportunity to have their photo taken with the trophy while others were treated to coaching sessions outside from the Charlton Athletic community coaches. 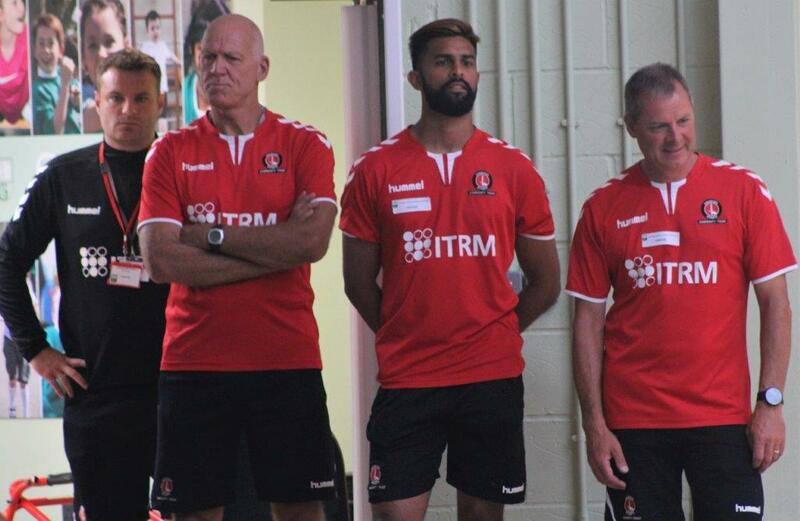 I even bumped into my old buddy and goalkeeping legend, Bob Bolder, who was with the Charlton coaching team. 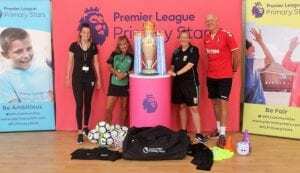 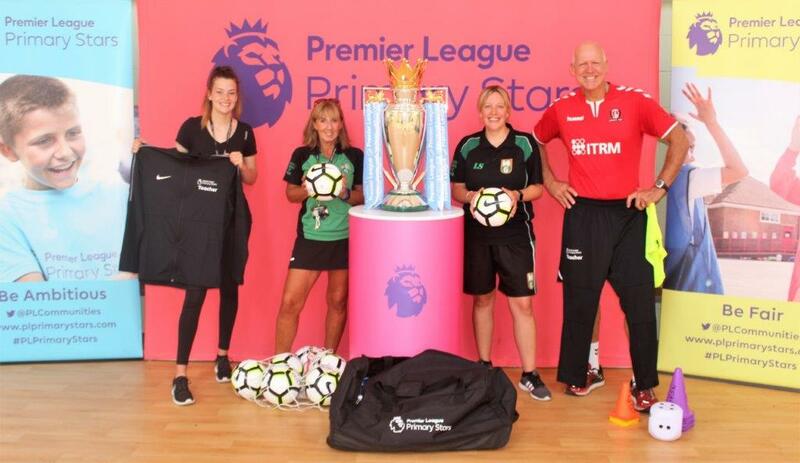 As if this wasn’t enough, Premier League Primary Stars also presented the school with lots of new sports equipment including kit, balls and a whole array of training aids. 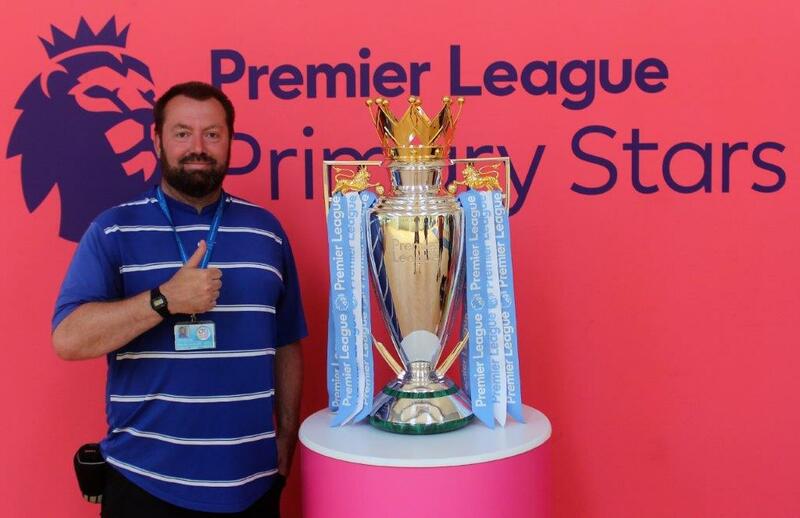 I even managed to have my photo with the trophy before I left. 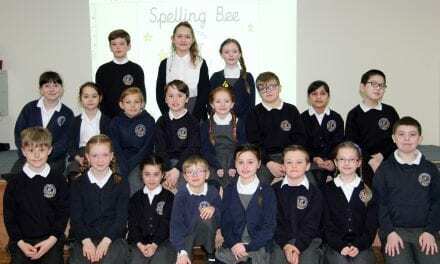 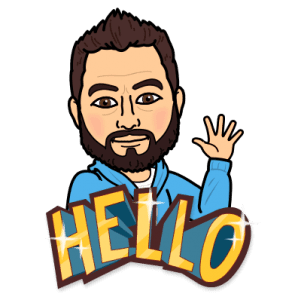 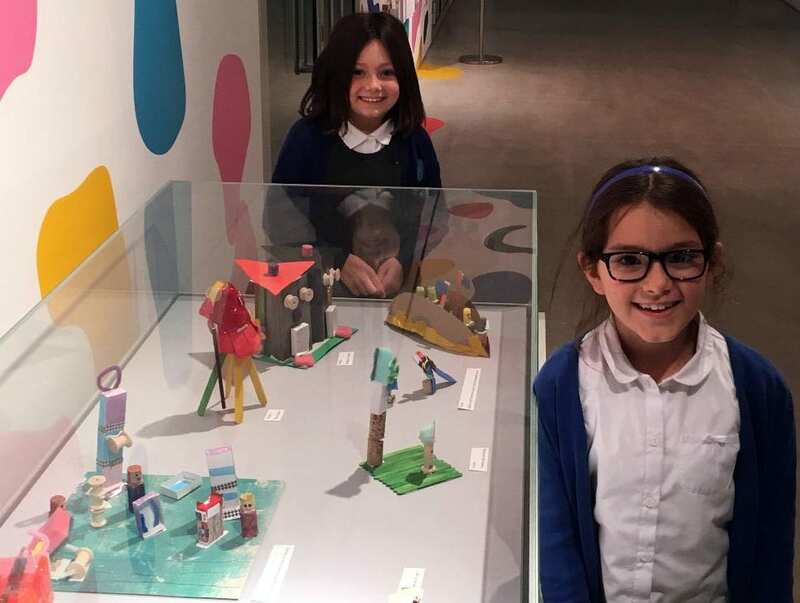 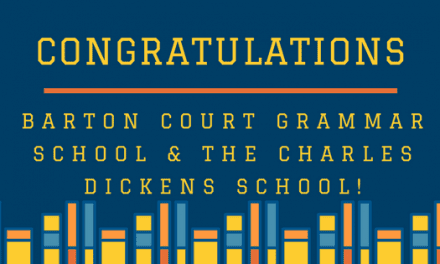 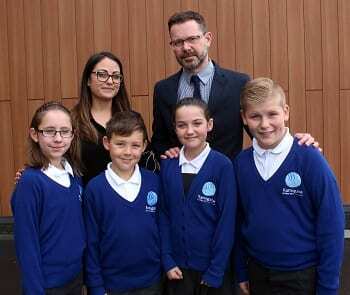 I certainly hope to be working with Garlinge Primary more in the future and look forward to hearing more about what is happening in their school. 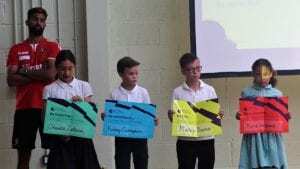 Please take a look at our gallery from the event and feel free to share this article with anyone who may be interested. 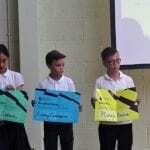 Although images are subject to copyright, please feel free to share from our page and credit ‘Educational Life’ if doing so.